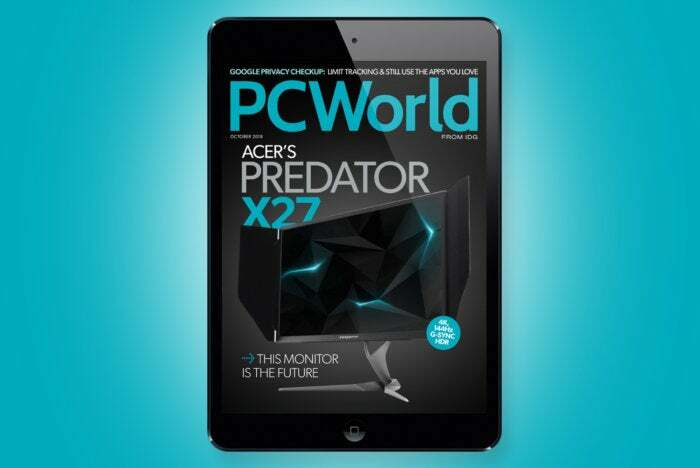 The October issue features a review of the Acer Predator X27: 4K, 144Hz G-Sync HDR is the Holy Grail of gaming monitors. Find out how memory bandwidth is killing AMD's 32-core Threadripper performance. Plus, learn how to control your TV with Alexa. Watch: The Asus ROG Zephyrus S GX531 is powerful and super-portable. It shrinks down to a near-bezel-less 15.6-inch 1080p panel with a refresh rate of 144Hz and a response time of 3ms. You also get the 8th-gen, 6-core Core i7-8750H and a GeForce GTX 1060 or GTX 1070 Max-Q GPU. Watch our video.